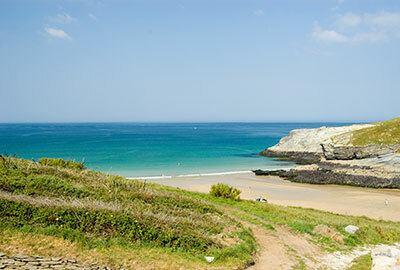 Overlooking Porth beach near Newquay in N. Cornwall... simply stunning inside and out! 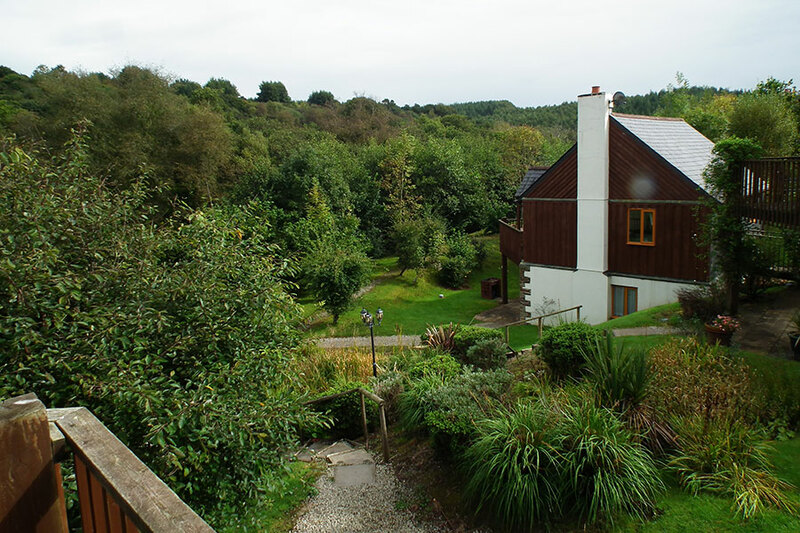 Treetops, like all the cottages at Oakridge St Mellion, is a comfortable and spacious base for your holiday in Cornwall. Substantially re-furbished in 2017 it is modern, light and airy. 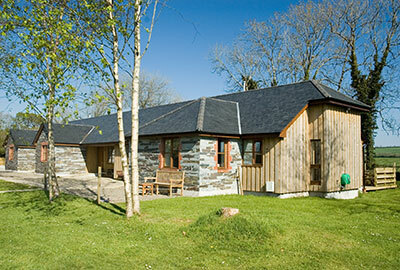 All cottages at Oakridge St Mellion benefit from their upside down design. 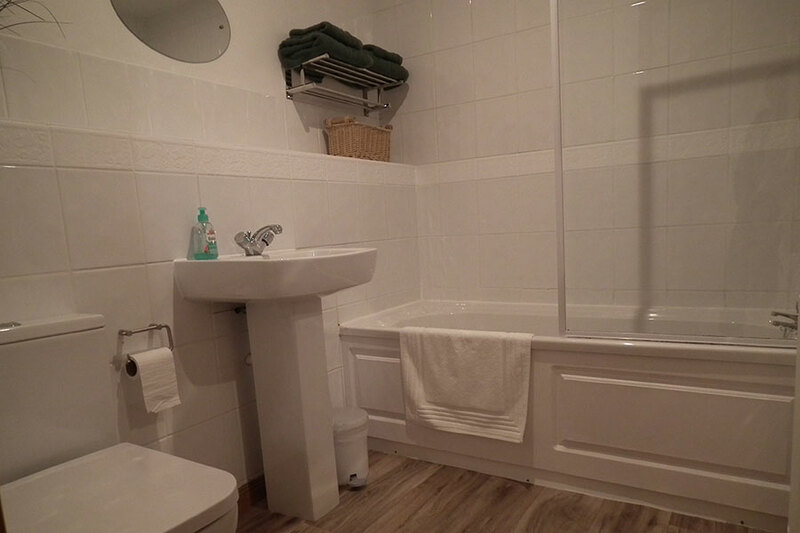 On the ground floor is the entrance with two good sized en-suite bedrooms (king & twin). The main king room is especially large. The lounge & kitchen are upstairs where the floor to ceiling windows allow light to flood in at all times of year. 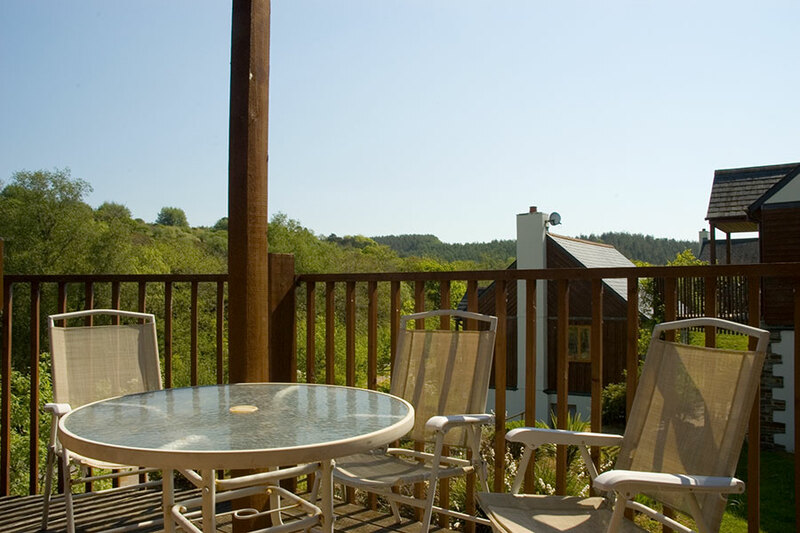 There is also a sunny balcony with views over the St Mellion golf courses. 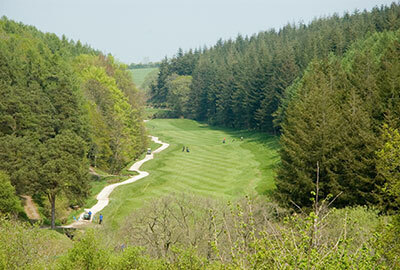 Treetops is especially attractive to Crown Golf members as it does not have any golf or leisure club memberships. 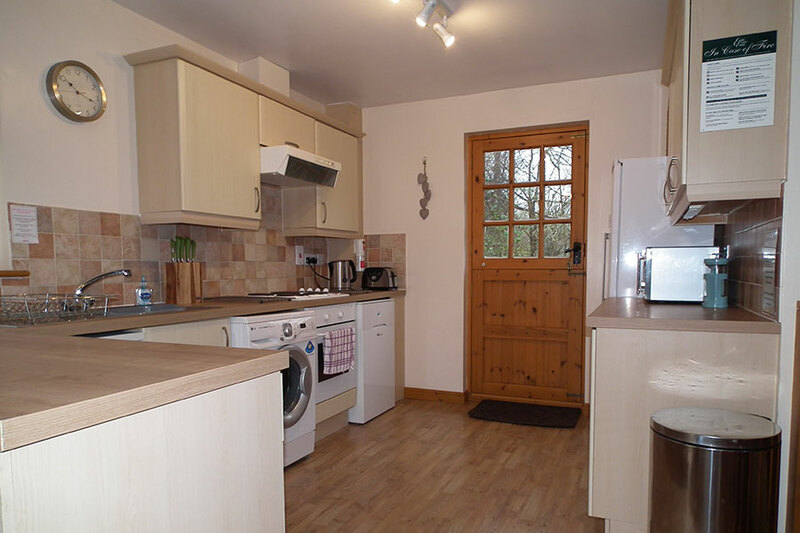 This means that the prices can be held lower for what is a very high quality holiday home. 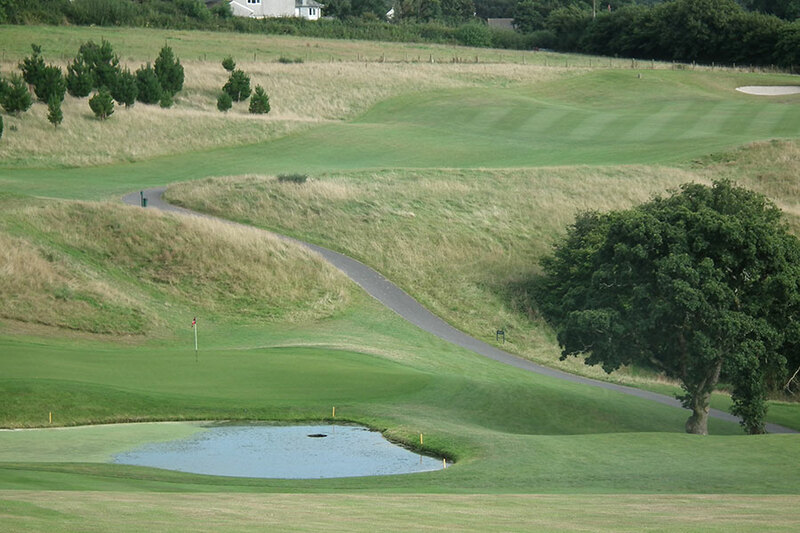 You can book individual rounds at St Mellion or China Fleet direct with the relevant golf club. 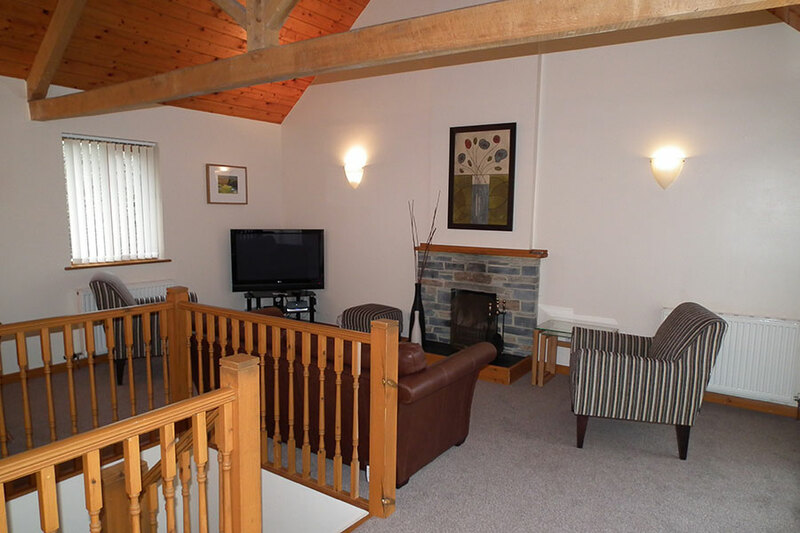 The spacious lounge has an open fireplace and vaulted ceilings with room height windows. There is plenty of light at all times of year. 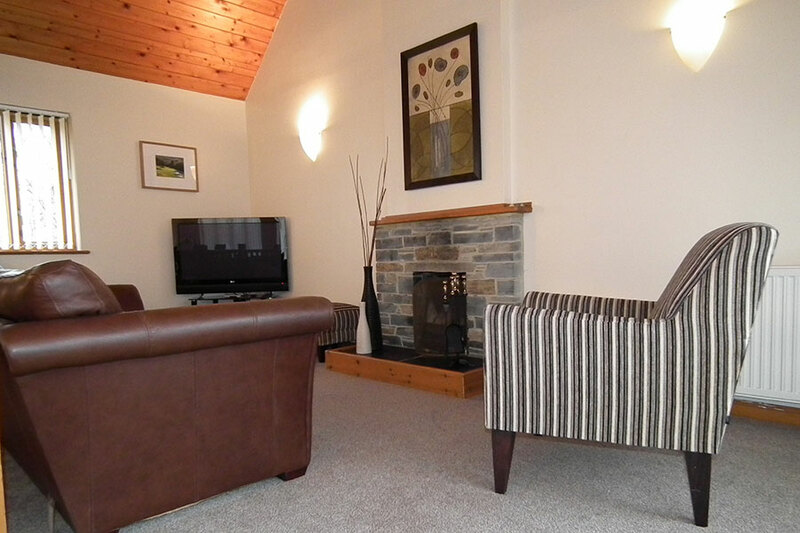 There is a large flat screen TV with a DVD player & extensive film library. 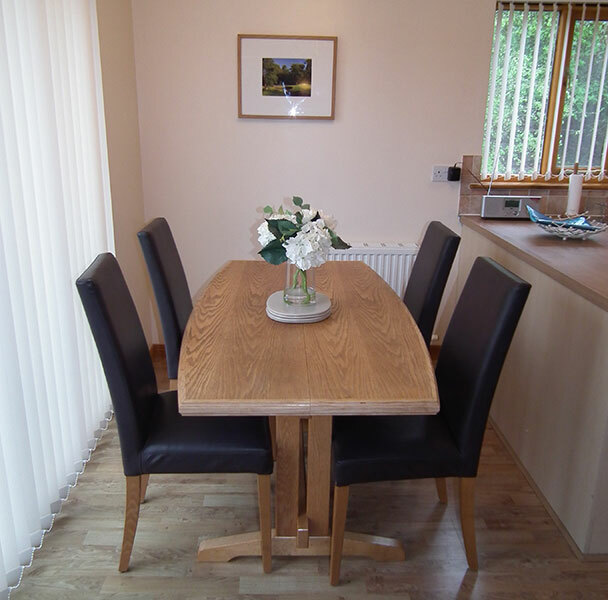 The dining table comfortably seats 4. 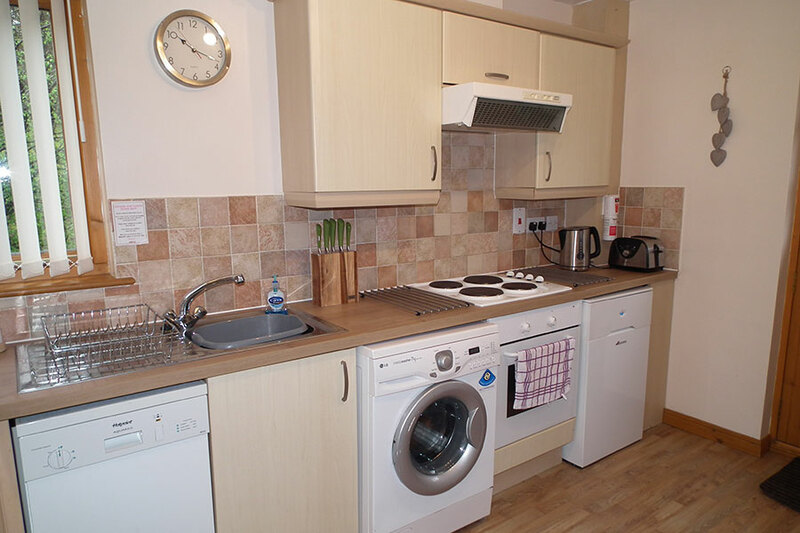 The fully fitted kitchen is well equipped with cooker, hob, microwave, dishwasher, washing machine & fridge freezer and plenty of cupboard space. 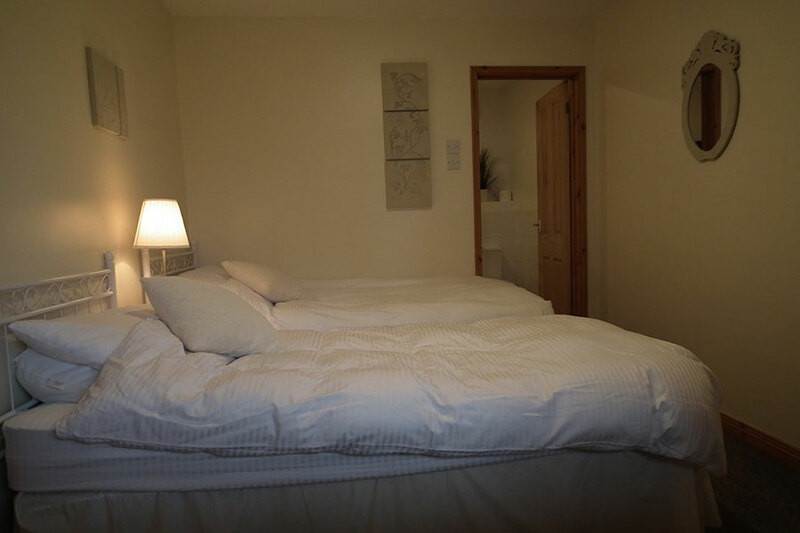 The main bedroom has a king bed, large built in cupboards & a good sized en-suite bath/shower room. 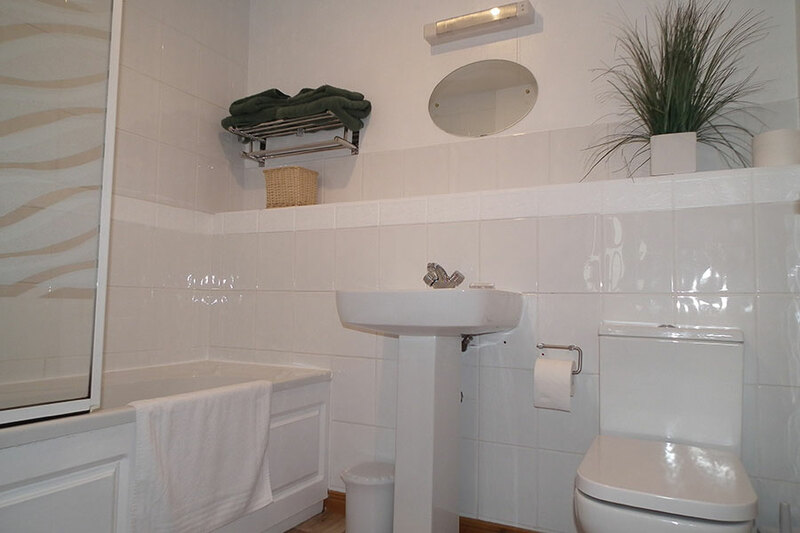 The twin room is also en-suite. 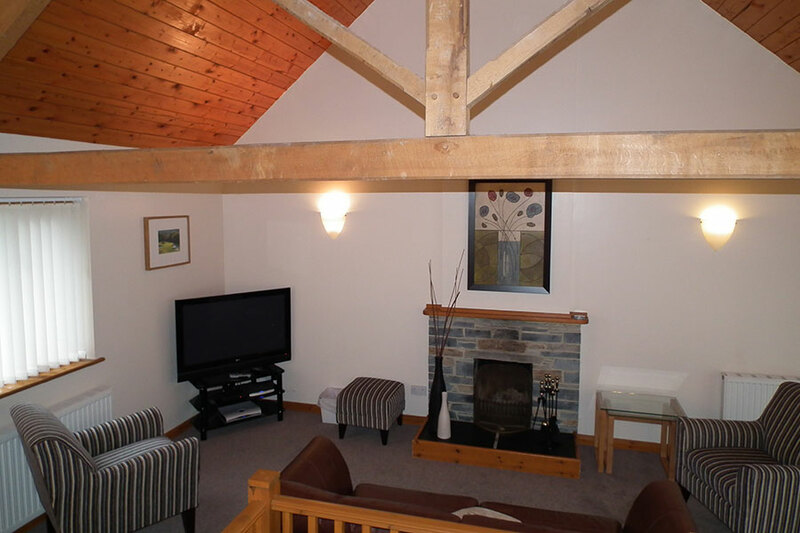 The upstairs balcony is sunny and has views of the golf course and surrounding countryside and countryside. 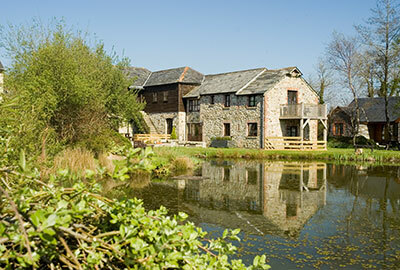 The Grounds at Oakridge St Mellion... 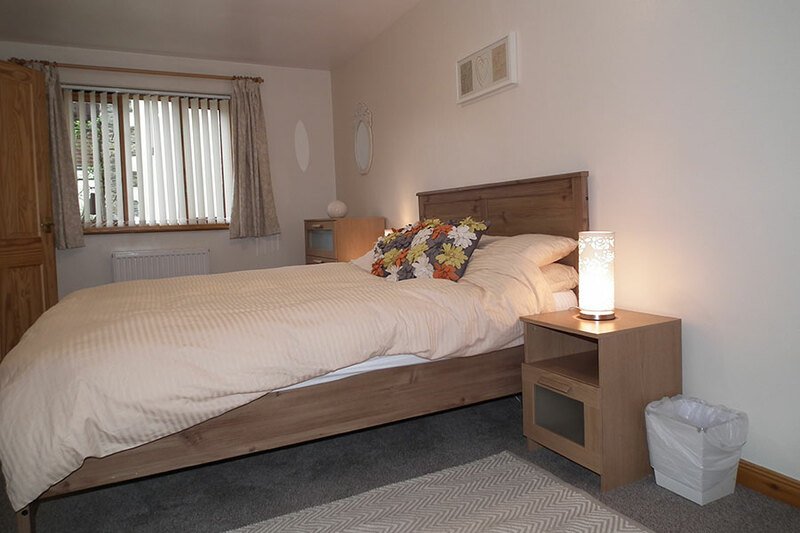 The 39 acres vary from the well maintained ponds and lawns in front of your cottage, to woodland and heath within which you can enjoy a gentle stroll. The ponds are shallow with waterfall features. 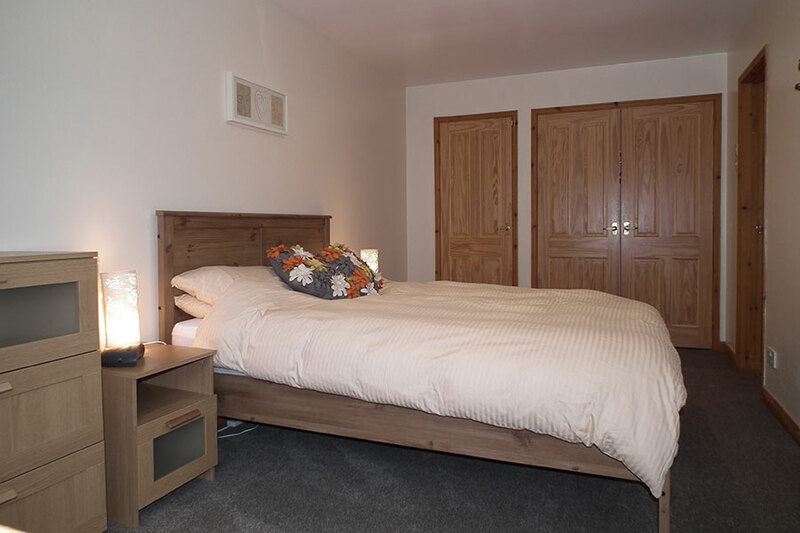 Holiday Cottages in Cornwall are a small firm operating our own holiday cottages in Cornwall in Callington, St Mellion and Glendorgal Sands near Newquay. 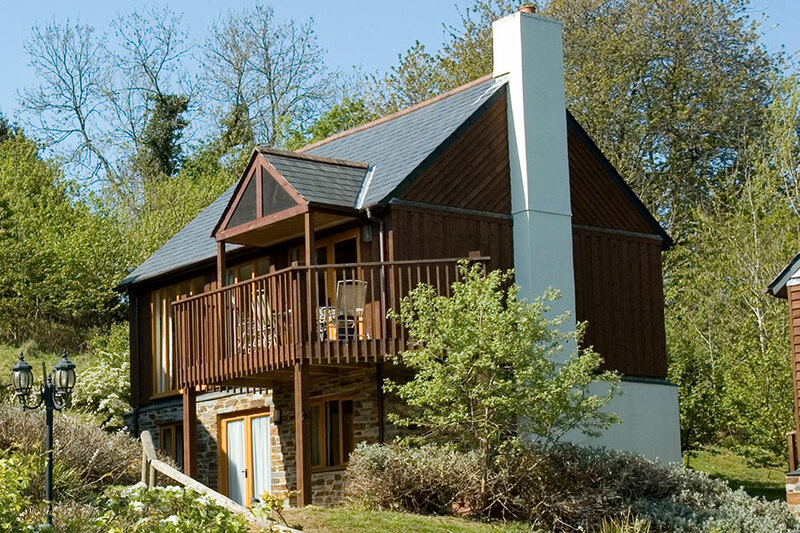 Many of our self catering holiday cottages come with free golf and leisure facilities and we have our own fishing lake for the use of our guests.